The snow has officially melted and signs of spring are everywhere! Residents at the Lutheran Home Communities have been enjoying spring preparation. In Vinton, the flower seeds planted by many of the residents are sprouting and growing well. 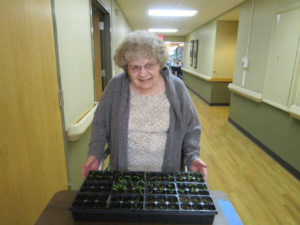 Everyone has enjoyed watching the seedlings grow and residents are looking forward to planting their flowers later this spring!